A recent Wall Street Journal article analyzed studies involving over 1.5 million Americans ages 18-84 to determine the healthiest Body Mass Index (BMI). Previous research has shown that those with a high BMI (especially before the age of 50) are more likely to suffer from heart disease, cancer, and other chronic disease. Although BMI is not always the most accurate method to gauge health (for example a 6’ 220 lb athlete might register as obese due to a muscular frame) it provides a fairly reliable snapshot of problems associated with weight. 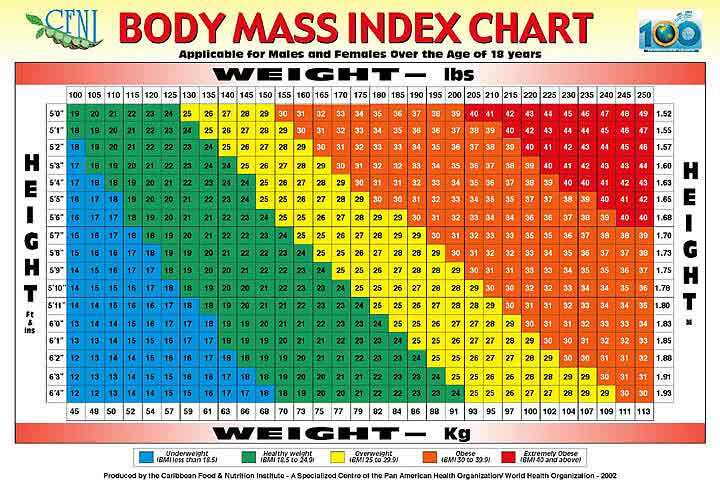 As predicted, the healthiest BMI is between 20-24.9 – this is the recommended range. As soon as participants tipped into the 25-30 range, they faced a 13% greater risk of death over a ten year span. A BMI of 30-34.9 (clinically obese) increased the overall risk of death in by 44% in that same time frame. Those individuals who weighed in with BMI’s over 40 (morbidly obese) truly were morbidly obese. In fact, they were 2.5 times more likely to die than those with a healthy BMI. With this in mind – what’s your BMI? Do you fall within that healthy range – or are you an at-risk individual? Starting an exercise program is one way to get your BMI under control. Simply eating healthfully is another way to get those numbers in check. For more information about making wellness a priority, check out our seminars and other health offerings. We would be happy to help your employees and co-workers improve their BMI’s and increase longevity!